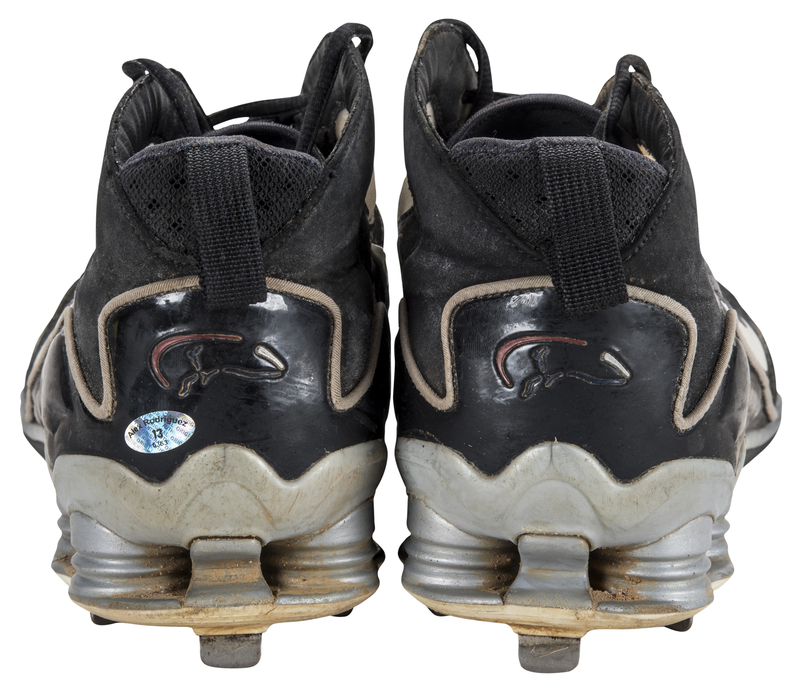 New York Yankees star third baseman Alex Rodriguez wore these Nike Shox A-Rod Elite cleats during the 2009 World Series. 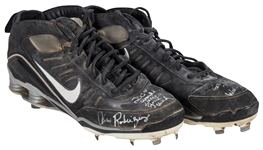 Rodriguez led the Yankees to a six-game victory over the Philadelphia Phillies, hitting a homer and driving in six runs for the rampant Yankees. This was Rodriguez’s only career appearance in the World Series, and he made it count by delivering the 27th World Series title to the Yankee Stadium trophy cabinet. 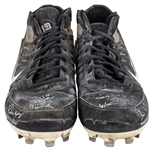 These cleats are black and gray, with a white Nike swoosh logo applied to each side of the shoes. 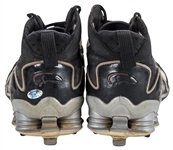 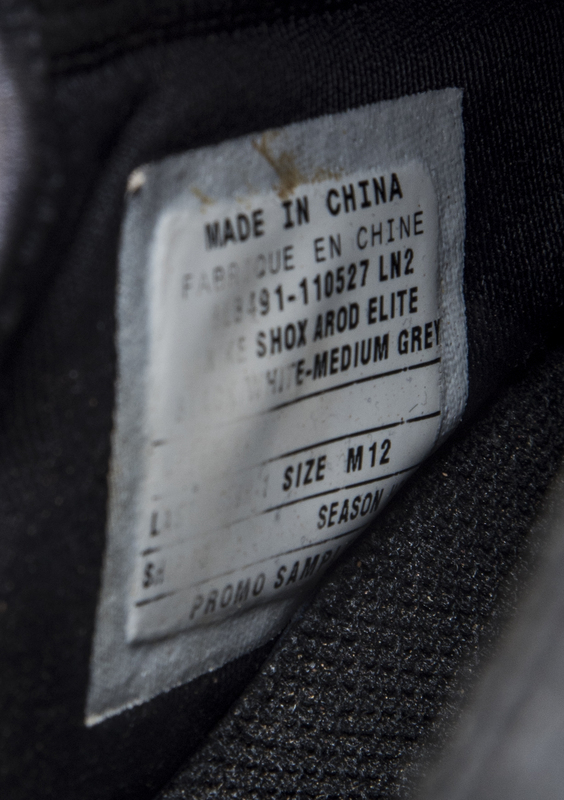 Rodriguez’s personal logo is applied to each heel, and his number “13” is embroidered on each tongue. 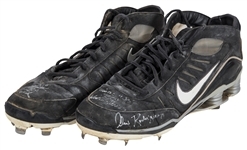 Nine metal spikes and a black Nike swoosh are located on the underside of each shoe. 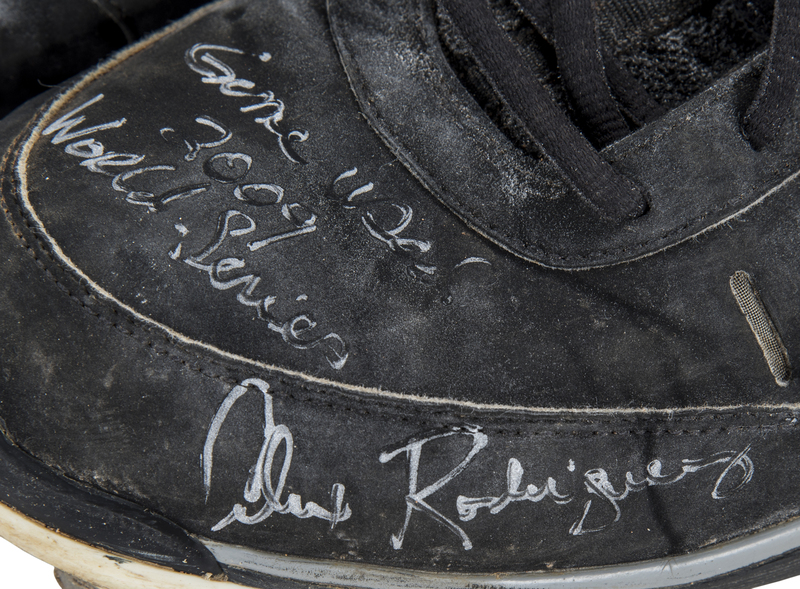 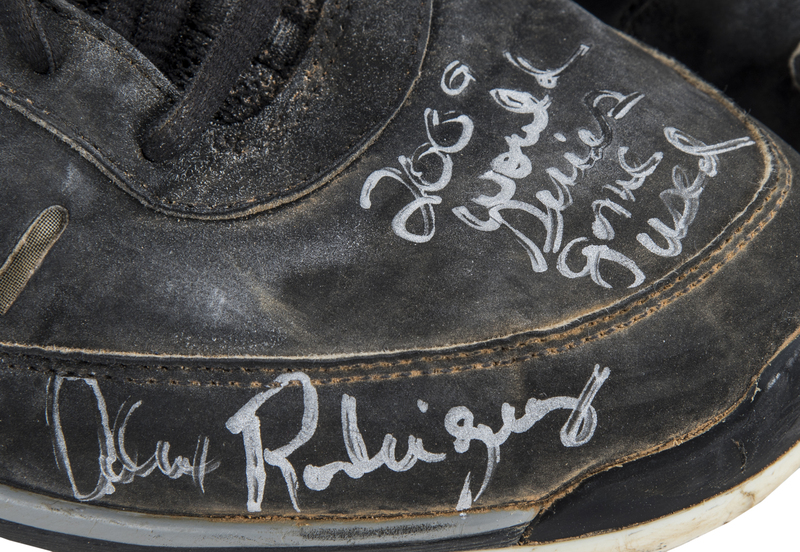 Rodriguez has signed the toe of each cleat in silver marker, inscribing “2009 World Series” and “Game Used” on each sneaker. 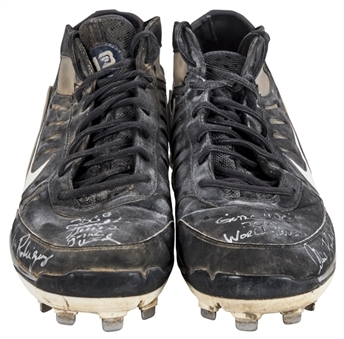 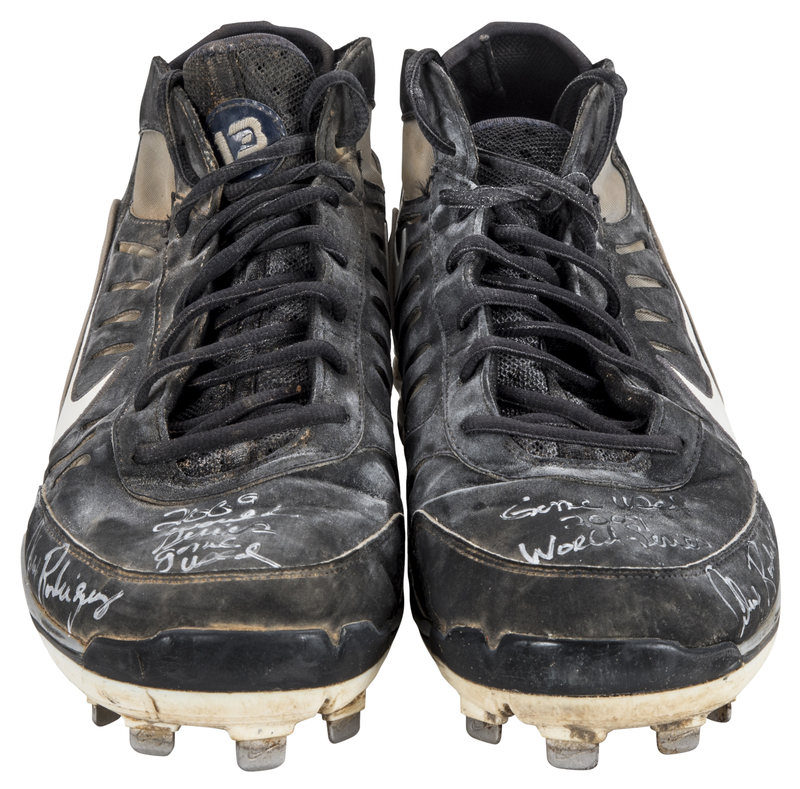 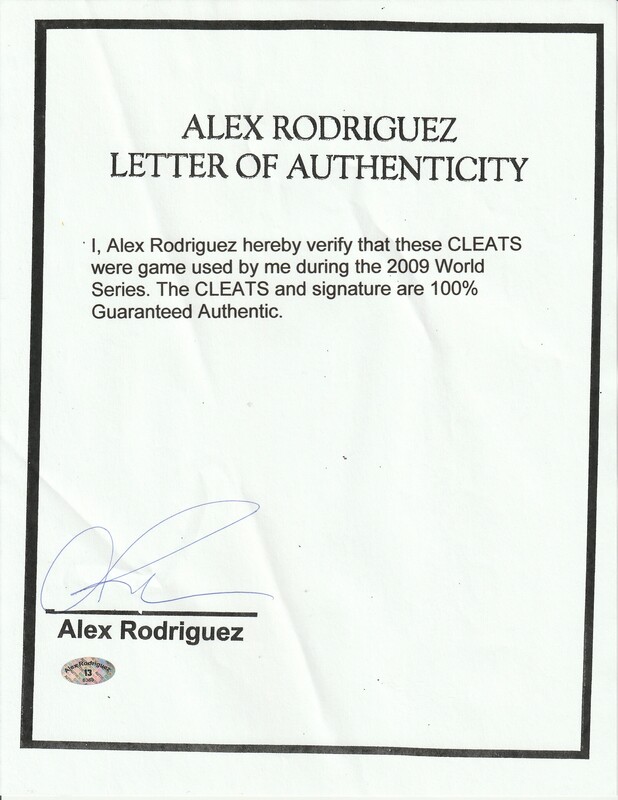 These size 12 cleats come with a LOA signed by Alex Rodriguez himself.